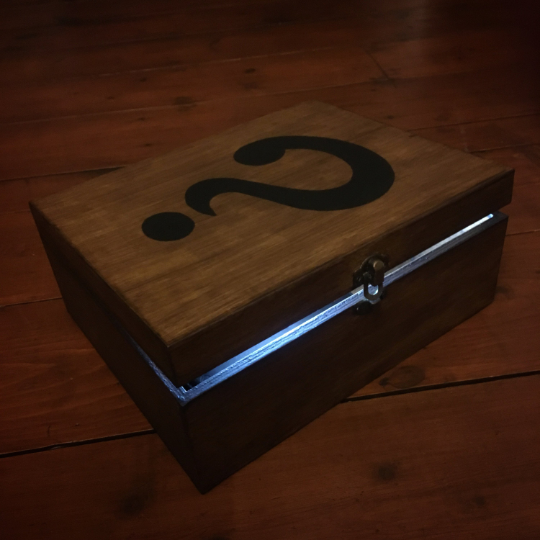 Contained in this one-of-a-kind mystery box is a random selection of things from my shop, unreleased products, prototypes, no longer available items, and one-off bespoke gifts created by Peter. It all comes in a hand-decorated presentation wood box with a fetching question mark insignia on the front. So indulge your love of the unknown, jump into mystery and grab this Mystery Box today!